The Cancer Council's national Pink Ribbon Day is coming up on October 25th. Events held for this day aims to help raise awareness about breast cancer, as well as raise funds towards research, education and patient support programs. Sadly, this year alone around 12,000 Australian women will be diagnosed with breast cancer, and although survival rates have increased with recent breakthroughs, one in nine women still face a diagnosis by the age of 85 and will need help and support. The Cancer Council's website is www.pinkribbonday.com.au, and is packed full of ideas on how you can help the cause, so why not put your thinking cap on before the big day and organise a fun get together or event to promote awareness. We'd love to hear what you're planning! This weeks challenge is based around all things feminine, beautiful and proud! 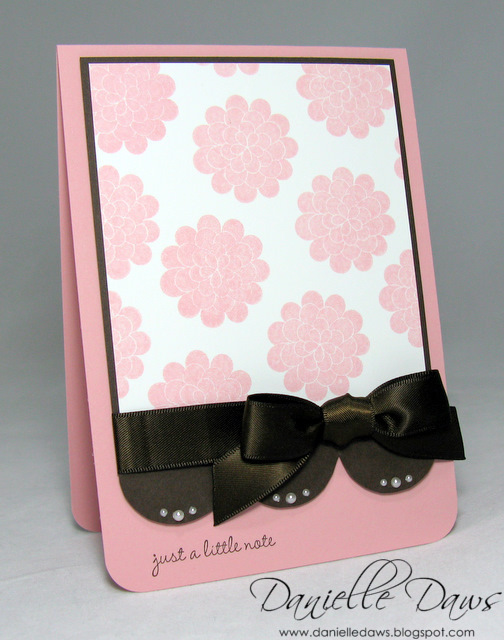 JUST ADD BLING ... and PINK! OMG! I'm so excited to have found you! 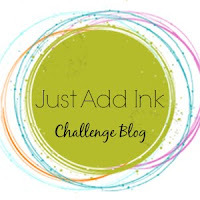 This challenge blog is just what I've been looking for. Your designers are fabulous and I love the top picks you post. Everyone who participates is so talented! I can't wait to play along! Thank you. Sorry I just realized that you don't allow cards with 3 challenges listed against their card. I wanted to play along for Breast Cancer Awreness week. If you don't allow it I inderstand. Thanks for the great inspiration! Oh, I LOVE this theme! Your samples are so beautiful, girls. This cause is very dear to my heart; will be coming up with something, for sure! What a great cause and a timely challenge. I had fun creating my card for this one. The Design Team's cards and projects are fabulous and give such great inspiration to the rest of us! Definately an excellent choice for this week's challenge, I had fun playing along! A great challenge to promote a great cause. Thank you! Great challenge...love the bling & pink! A cause close to my heart so how could I not participate this week!!! Thanks as always. Great challenge ladies...I might even try another one, now just to find the time?! What a great choice for a great cause. Your samples are all fantastic, can't wait to see the rest. Thanks for the inspiration you girls give! Love it & using my favourite colour with bling..... woo hoo! Just perfect girls!! Loved playing along this week!! such an awesome event to highlight girls! So pleased to be able to participate on this one!! Love this week's challenge girls, and for a fantastic cause. Keep up the good work! I enjoyed this challenge, and the opportunity to raise awareness of Pink Ribbon Day on 25th Oct. WOW!!! YOU guys!! I love this challenge, I MADE time to play, it's super awesome!!! Thanks sooo much! This was a fantastic challenge. Thanks JAI ladies for hosting such a great challenge for this wonderful cause. Thanks for inspiring me to play this week girls. It's been ages!